Discover how to clear the way for better hearing. 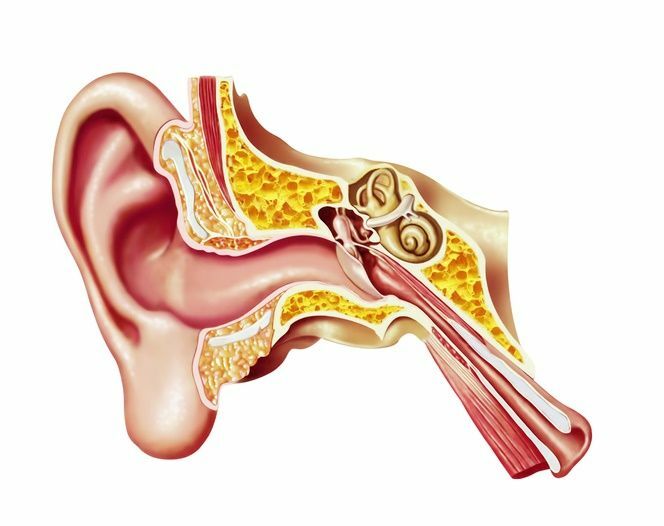 Hearing begins when soundwaves enter the outer ear (the visible portion of the ear located on the outside of the head) and are channeled down the auditory canal, a tube-like passageway lined with tiny hairs and small glands that produce ear wax. At the end of the auditory canal lies the middle ear, which is composed of the eardrum and three small bones, known as the hammer, the anvil and the stirrup. When soundwaves hit the eardrum, it vibrates and moves the hammer. The hammer moves the anvil, which moves the stirrup, transmitting the vibrations into the inner ear. The middle ear functions to amplify sound, which is why significant hearing loss can result from any disruption in any of its parts. The inner ear consists of the cochlea and the nerve of hearing. It converts soundwaves into nerve impulses that travel to the brain via the movement of tiny hair cells. It is the brain that allows you to hear, as long as the message it’s receiving is not distorted due to problems in the process just described. Click here to learn about the types and causes of hearing loss. Click here to learn what happens during a hearing test appointment. Click here to learn about hearing aid information. Knowledge is power…the power to hear better! You don’t have to live with hearing loss. Call us today at 425-528-8597 or send in this form now.